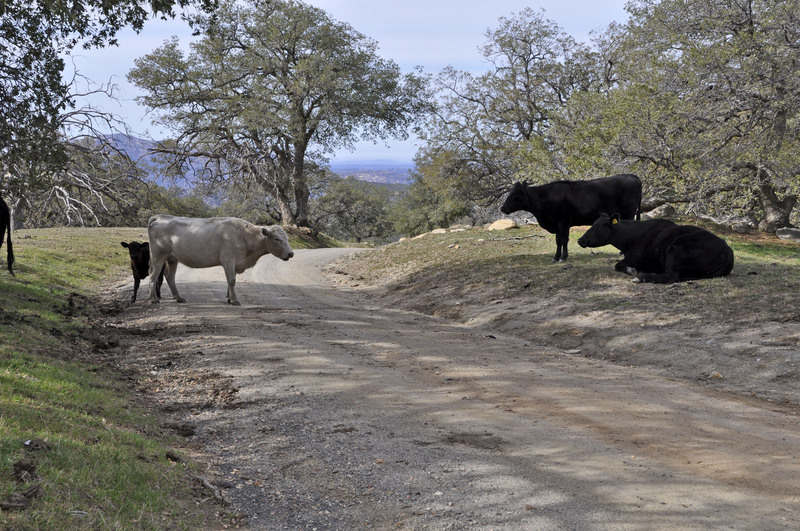 Minor obstacles while heading south on Boulder Creek Road north of Descanso. 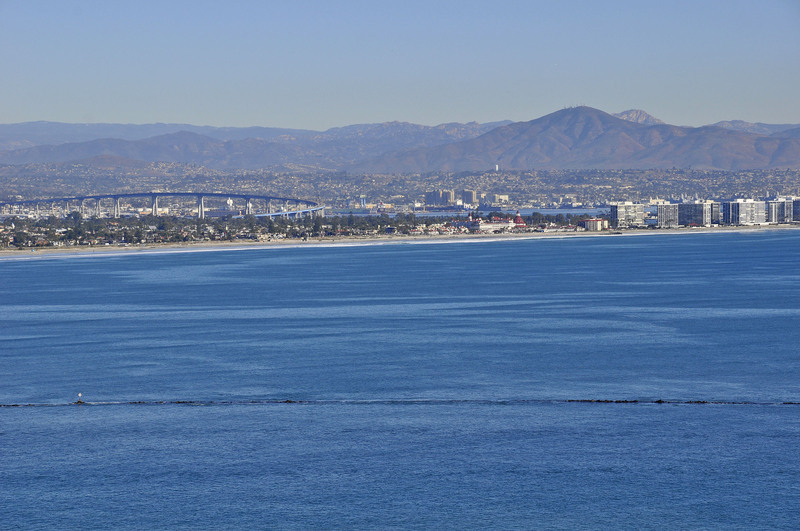 The Hotel del Coronado and the San Diego-Coronado Bay Bridge viewed from Cabrillo National Monument in Point Loma. 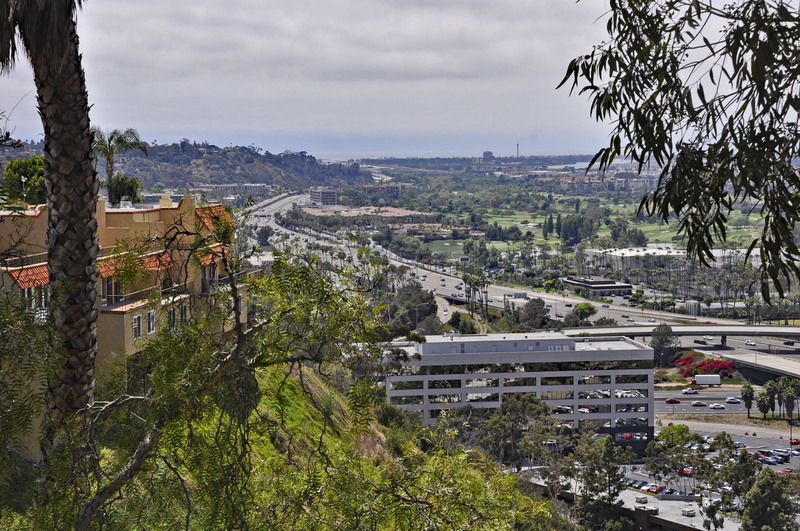 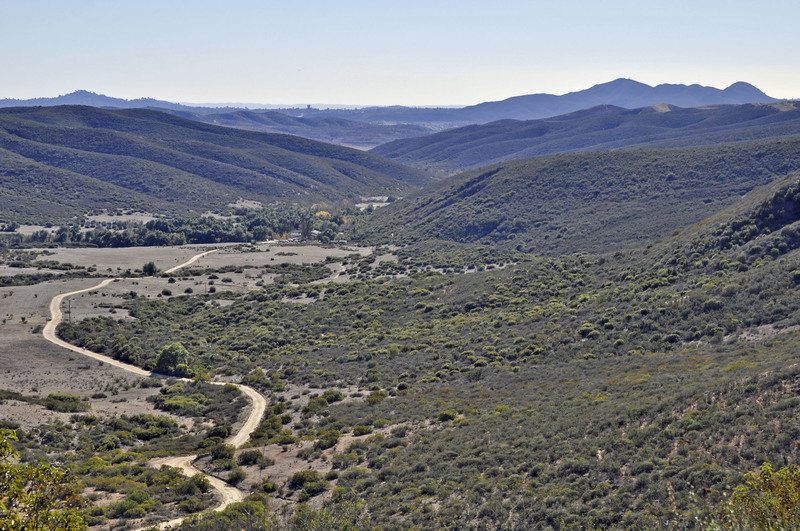 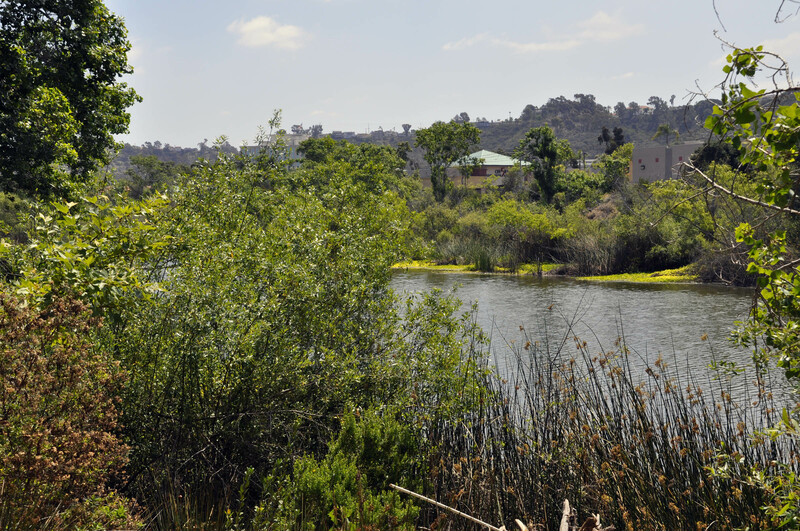 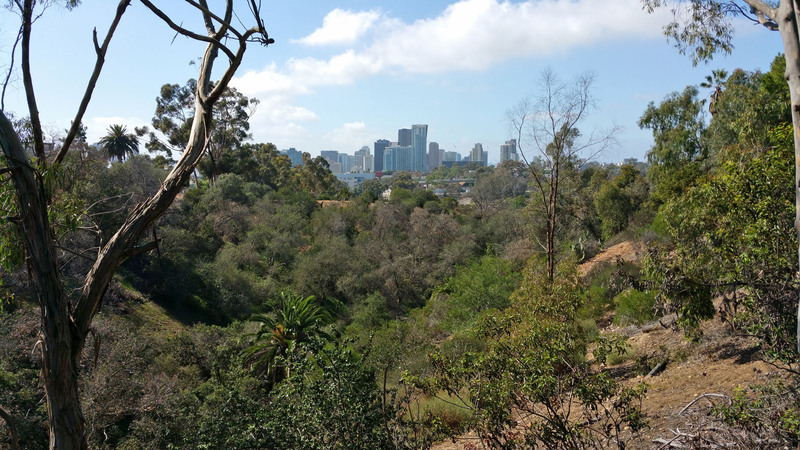 View of Mission Valley West from University Heights. 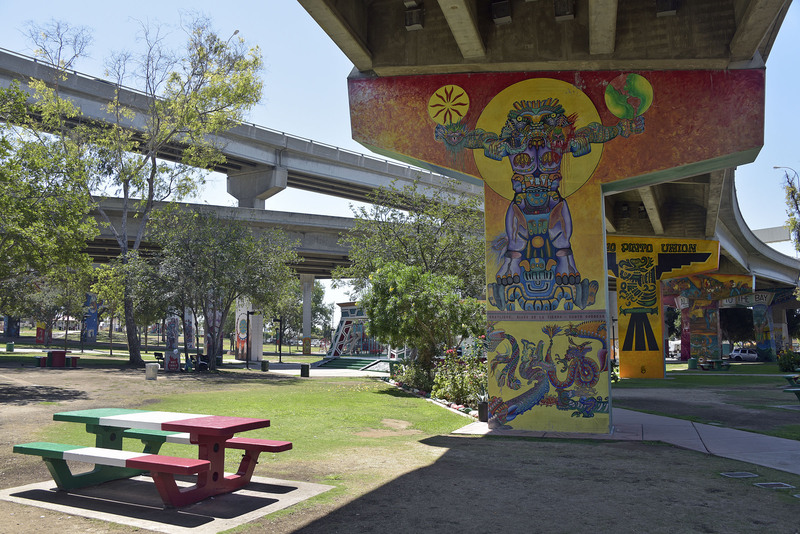 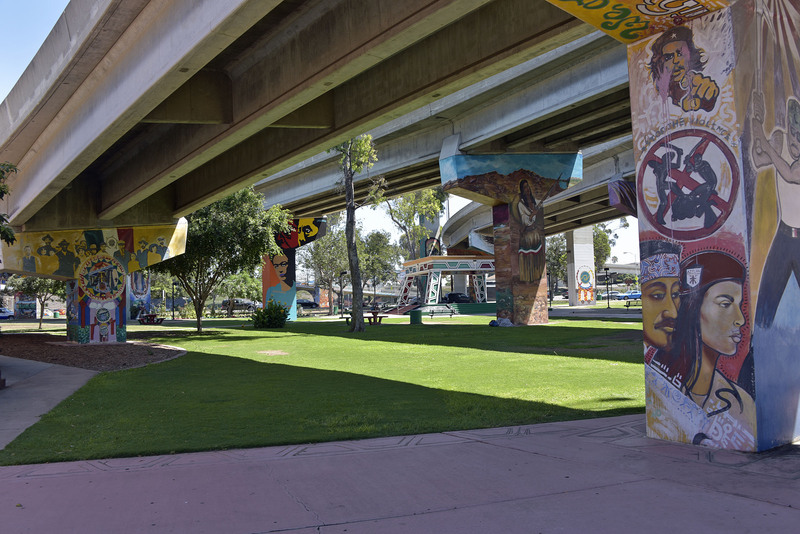 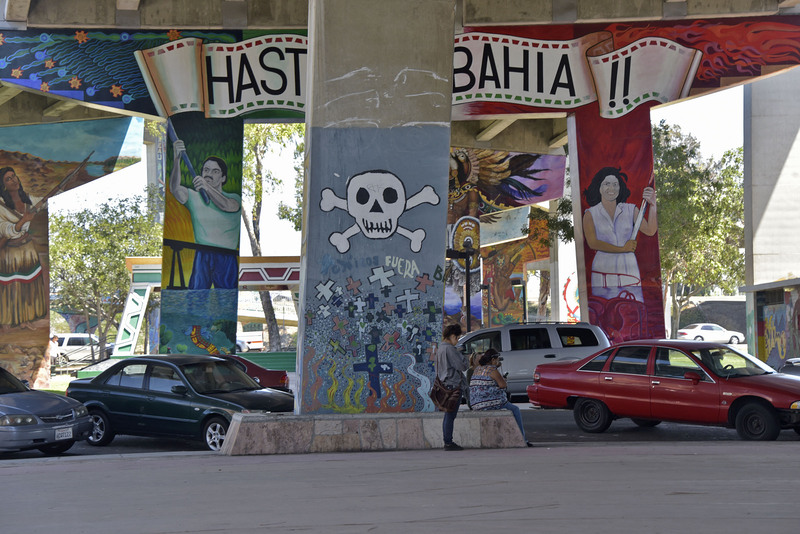 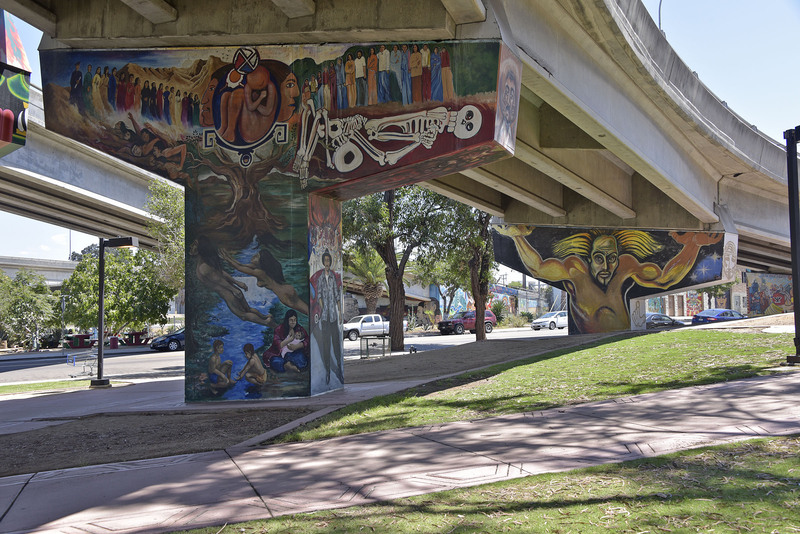 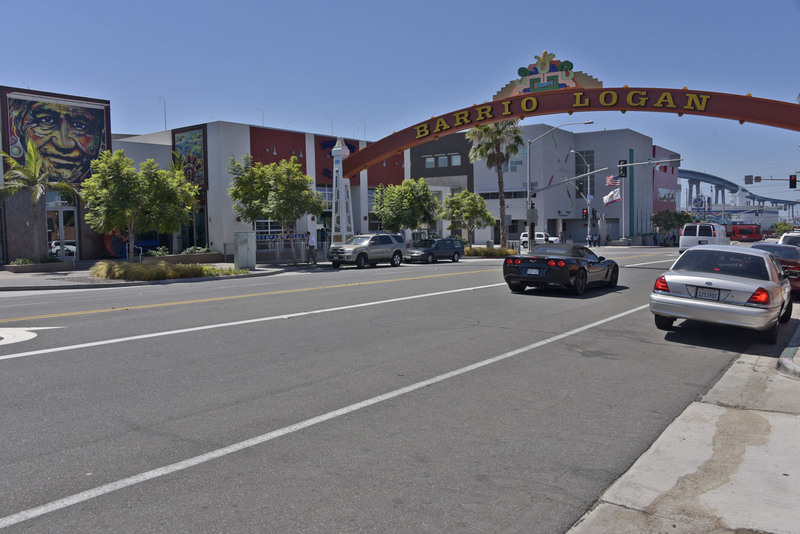 Chicano Park located beneath the Coronado Bridge in Barrio Logan was just named a Historic National Landmark. 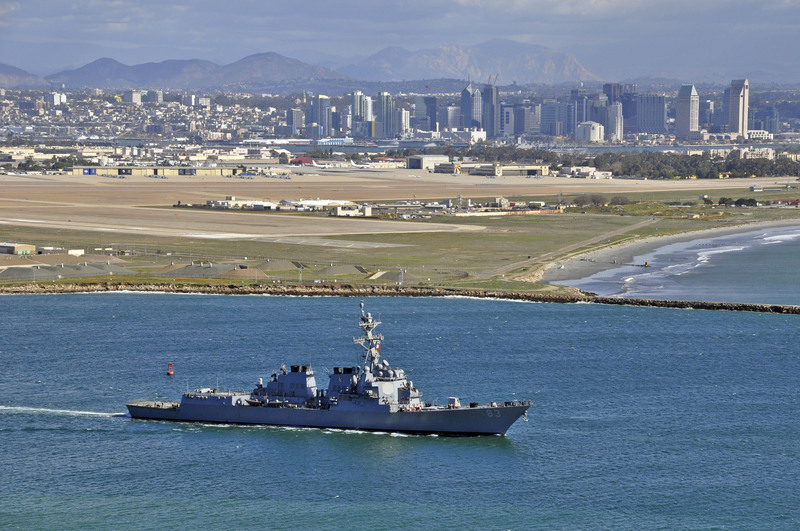 Guided missile destroyer USS Howard seen passing Naval Air Station North Island as it went out to sea for a brief underway in the SOCAL op. 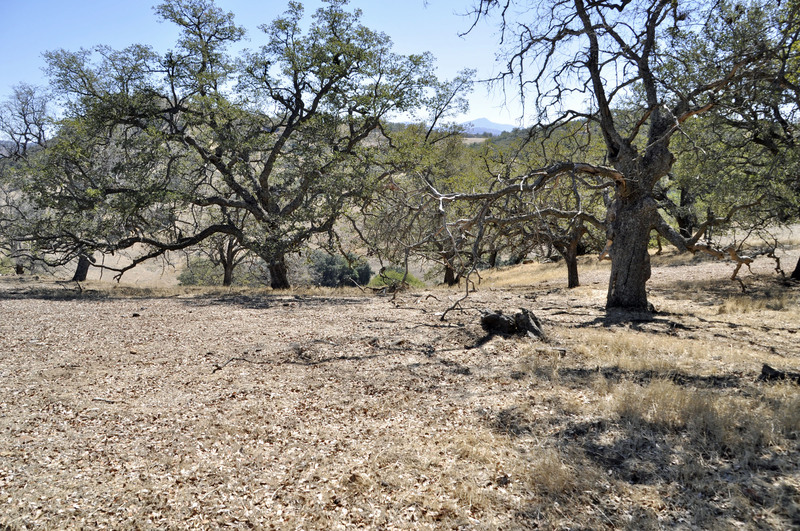 area last February. 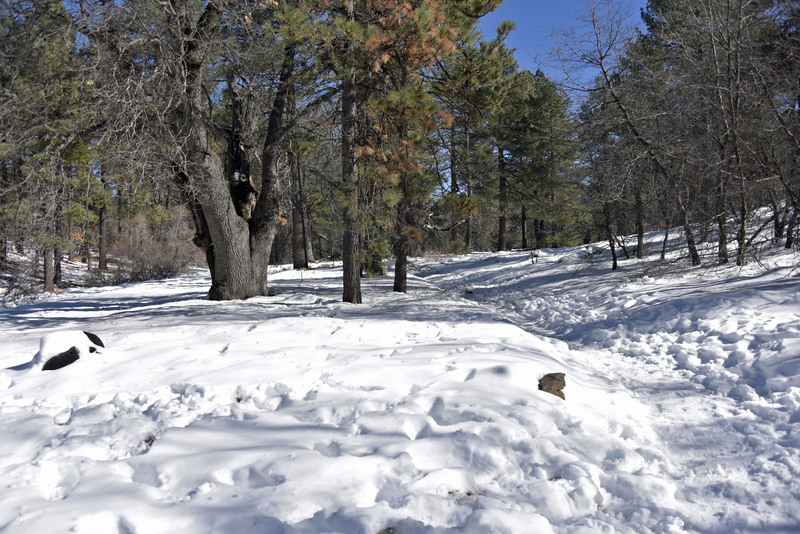 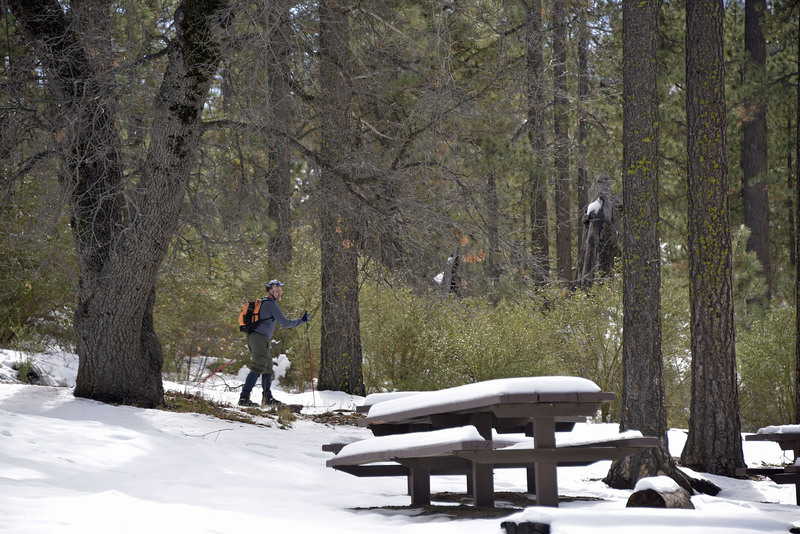 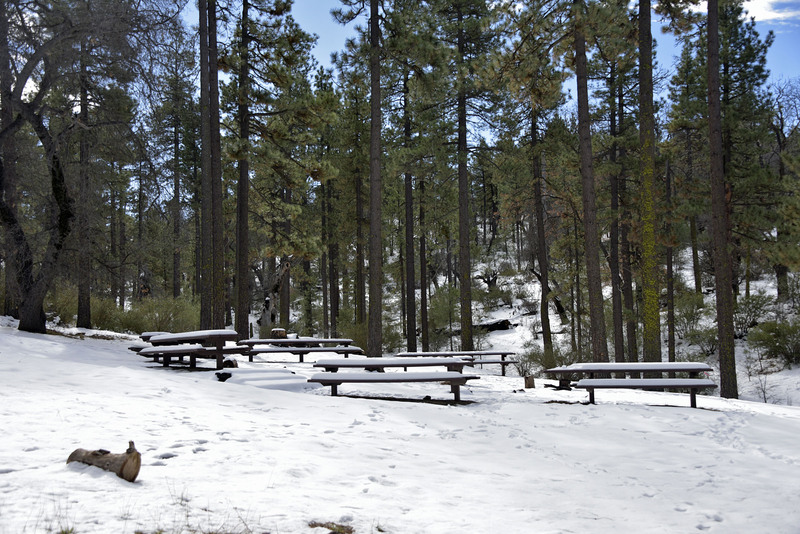 Plenty of snow has already melted after last weekend’s storm, but there’s still enough to enjoy at Horse Heaven Campground in the Laguna Mountains. 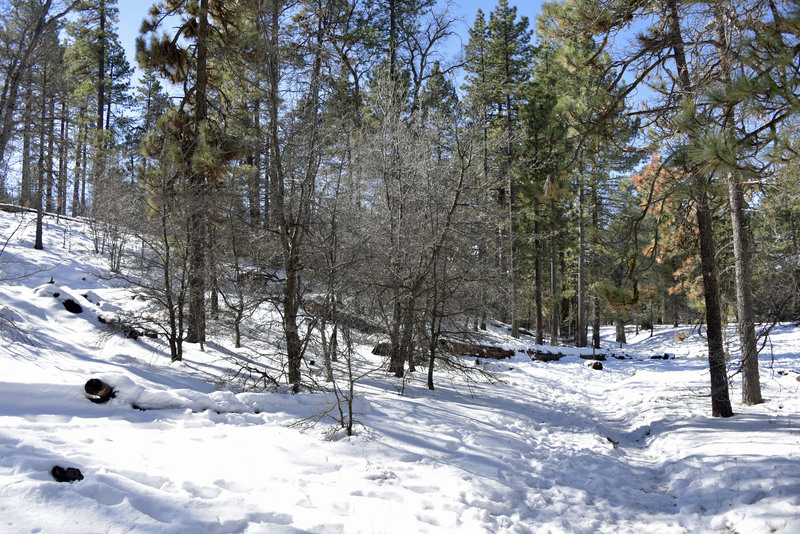 We took these pictures today while hiking the Lightning Ridge Trail.